A few years back Carlson & Stevenson Antiques of Manchester, Vermont acquired a series of original drawings by cartoonist Barbara Shermund. 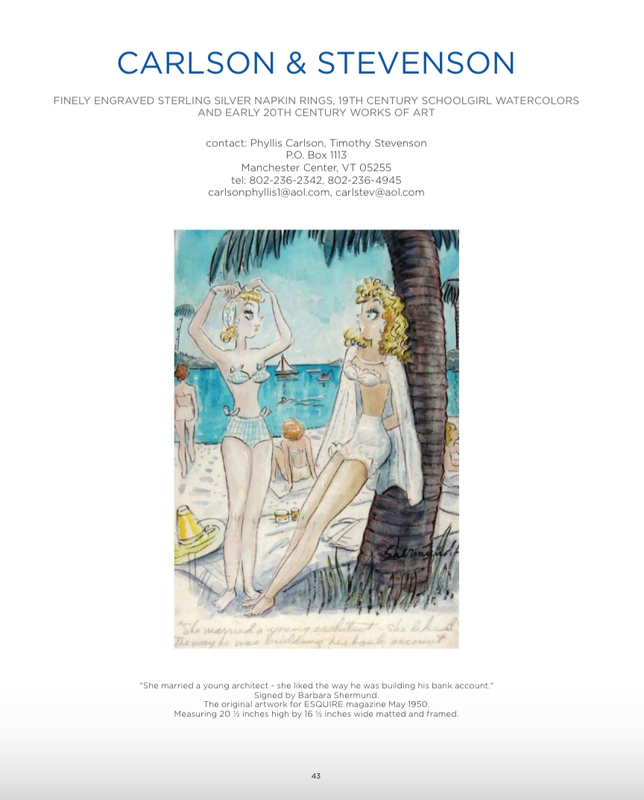 These drawings were promoted at art and antiques shows in San Francisco and Palm Beach. 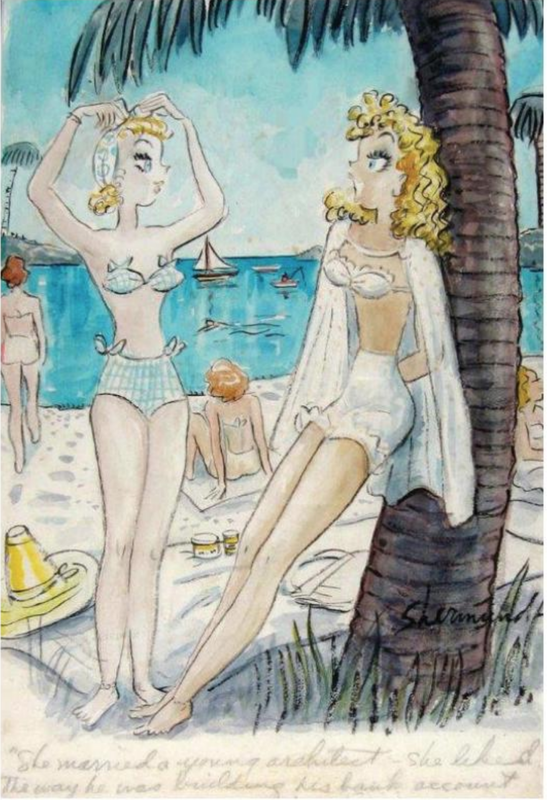 A color cartoon reproduced on a promotional page from a Palm Beach show catalogue depicts two young women on the beach sporting two-piece bathing suits. They are discussing another woman's selection of a husband. 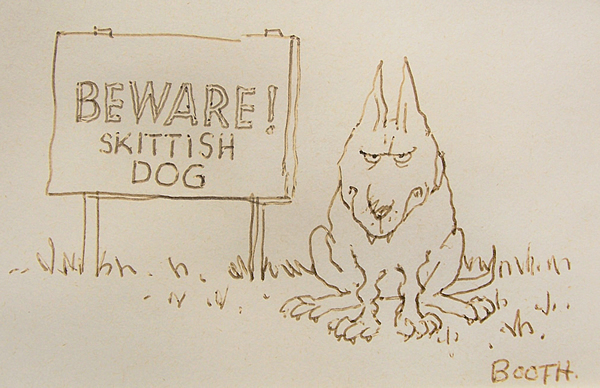 The art dealers claim that the cartoon was published in the May 1950 issue of Esquire. way he was building his bank account." Note: The entire Esquire archive is now online and it seems this cartoon may not be from Esquire at all. It certainly does not appear in the May 1950 issue. The wordplay, quite frankly, is a bit on the weak side. The question then remains, where was it published? 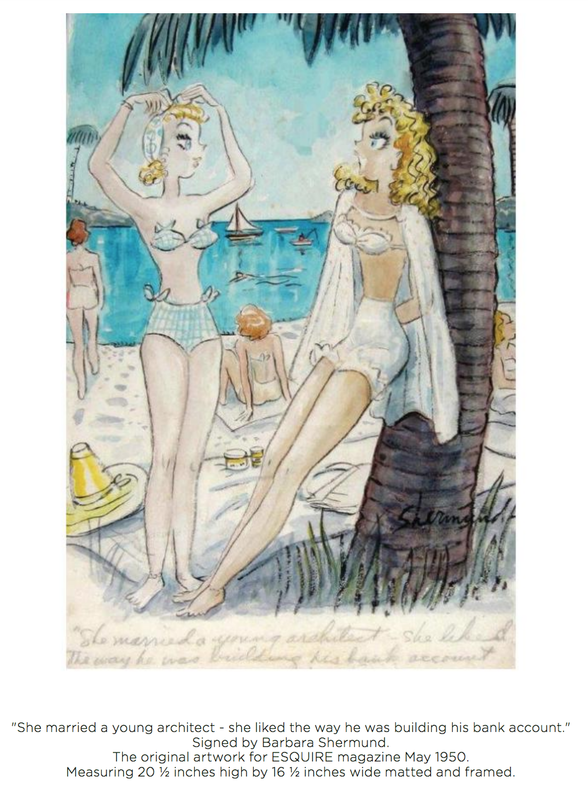 Just a reminder: Attempted Bloggery seeks images of original art by Barbara Shermund for inclusion in future blog posts. Labels: architect, Barbara Shermund, beach, Carlson & Stevenson, marriage, original cartoon art, published? eBay 101: Falling Upon a New Yorker Cartoon? Barbara Shermund: Diving for Greenbacks?